ProProfs Chat plugin for WordPress is a live chat plugin that one can use to add customer support to their website. 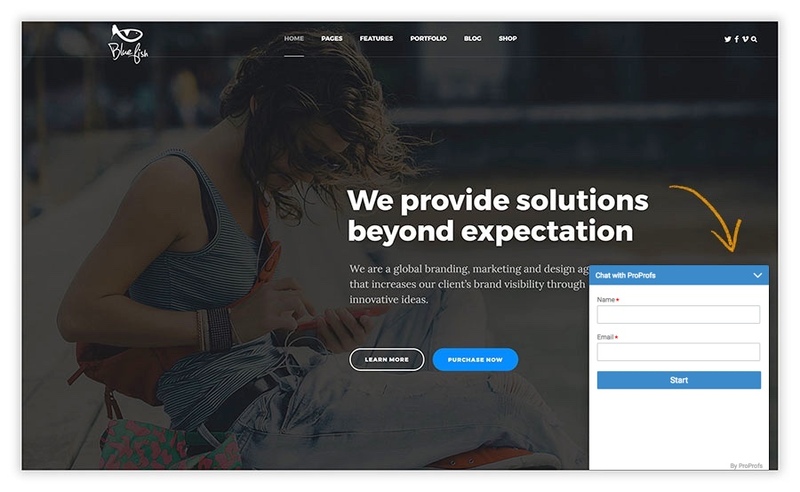 This is the best live chat software which helps you to connect with website visitors and existing customers. 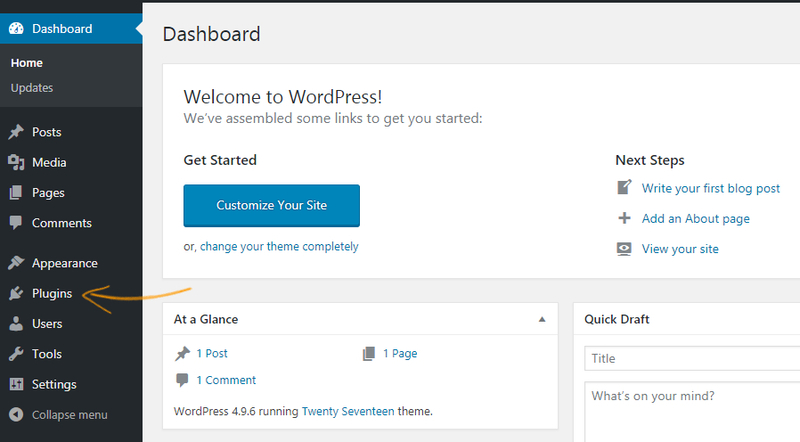 With our live chat plugin for WordPress, we not only help you increase your leads but also boost customer delight. Step 2. Click the “Add New" button. Step3. Enter “ProProfs Chat ” in the search section. You will find ProProfs Chat – Live Chat Plugin for WordPress Website. Click the “Install Now” button to proceed. Step 5. 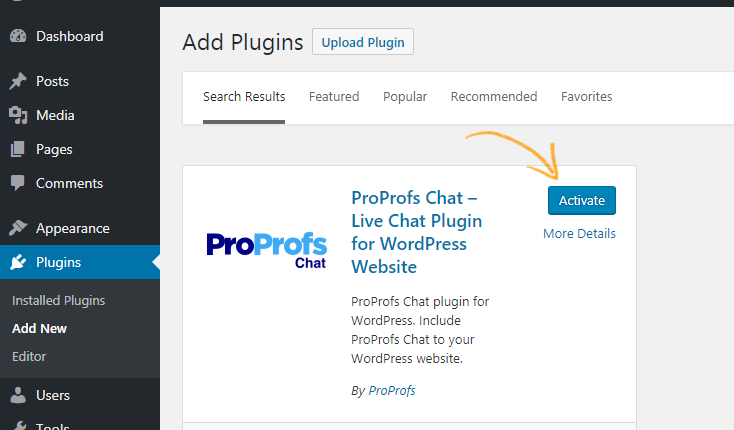 Navigate to the plugins section and click the “Settings” button under the ProProfs Chat plugin. Step 6. Login to your ProProfs Chat account with your valid credentials. Step 7. Congratulations! You have successfully installed your WordPress plugin. You can also utilize your ProProfs Chat dashboard from here.